Marianne Gilbert Finnegan Author of "Dreaming of Portugal". 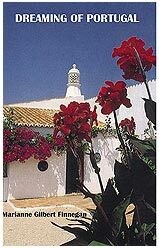 In mid-life, Marianne Gilbert Finnegan and her husband spent four years in the Algarve region of Portugal. There they established The Griffin, an international bookshop that still continues as a vital community resource for both travelers and foreign residents. Their adventure is the subject of her memoir, Dreaming of Portugal, published in 2005. As the daughter and granddaughter of songwriters and poets, Marianne inherited a strong writing ability. 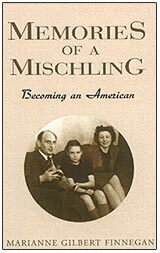 Her earlier memoir Memories of a Michling: Becoming an American (published in 2002) told the story of her family's flight out of Nazi Germany and her growing up in New York City. Later, Marianne married and, during her children’s school years, she earned a PhD at the University of Connecticut. 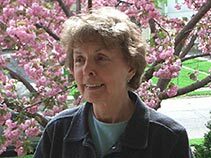 Her subsequent career included years as director of the Connecticut Humanities Council, as administrator and professor at Empire State College in Saratoga Springs, New York, and as owner of the Griffin Bookshop in Portugal. She now teaches at the Academy for Learning in Retirement, which she founded for Empire State College, and exchanges frequent visits with her daughters and grandchildren. sunny southern coast of Portugal. They find the beauty they expected and establish warm new friendships across national boundaries. But their journey also leads them through unexpected obstacles presented by people, customs, climate and the quirks and snags of their own, suddenly expatriate, identities. Thus is a delightful memoir that speaks to the longing for adventure and the belief that building a new future is possible at any age. Marianne Gilbert Finnegan was born in Germany just before Aldolph Hitler was elected Chancellor. Her Jewish father, Robert Gilbert, was a well-known songwriter and poet; her mother, a singer, came from a Lutheran family. By Nazi decree, the mixed marriage made their daughter a Mischling, of half breed. Fearing what was to come, the family fled Germany and eventually reached America. This is the story of Marianne's growing up in New York City while her father tried to write English for the Broadway stage and her mother worked in factories to support the household.